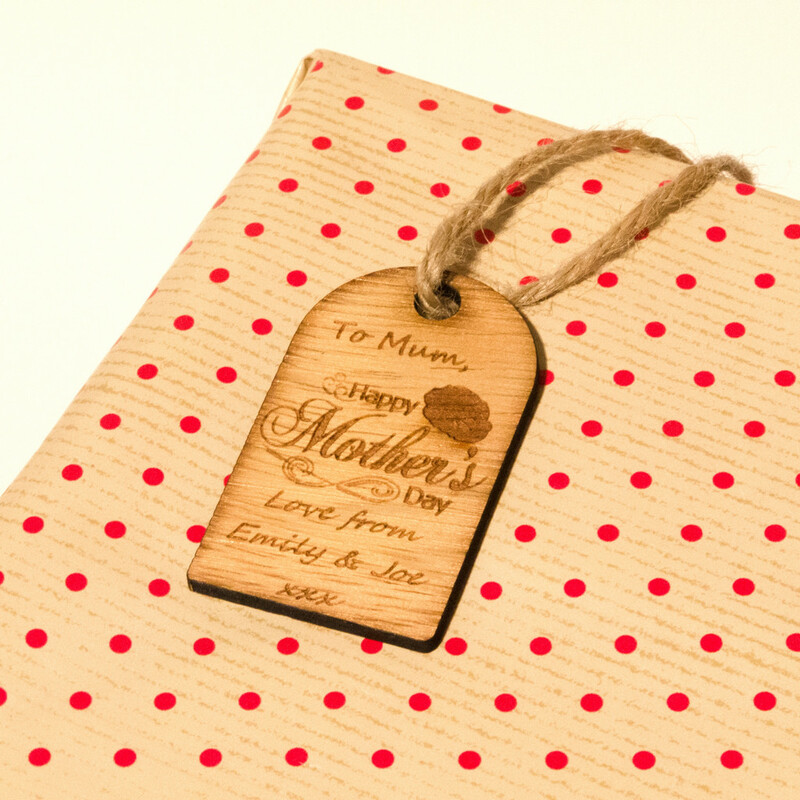 Make your mum's gift extra special this year with a personalised Gift Tag. 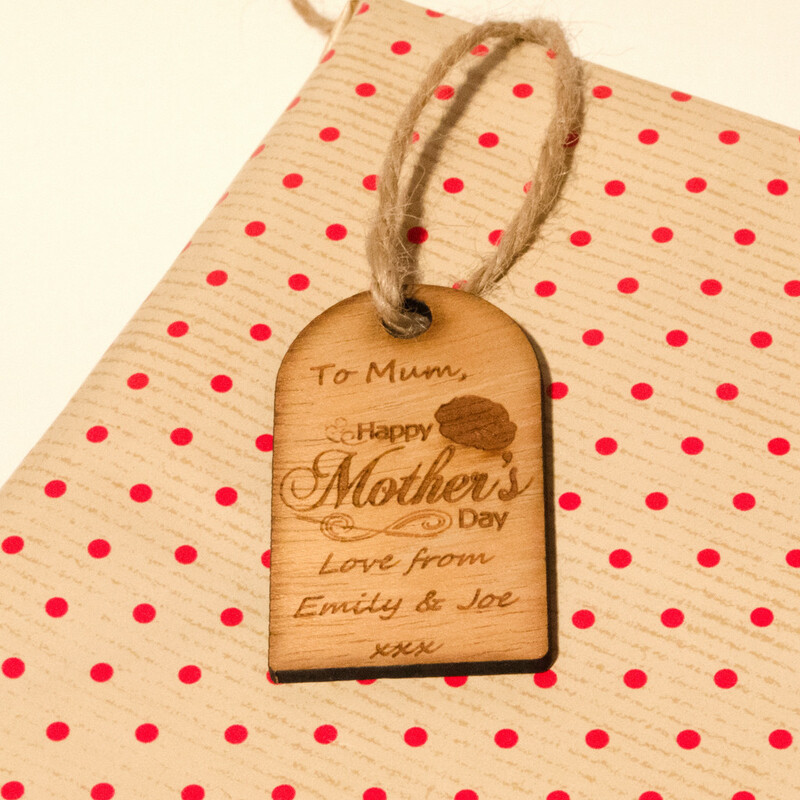 These beautiful wooden gift tags are made from Iroko hardwood and would make the perfect finishing touch to any Mothers Day gift. Every gift tag is engraved with the image shown and the words of your choice.. These gift tags are 6cm tall, 3.5cm wide and 2.5mm thick. They are also supplied with brown hessian string to attach them to your presents.